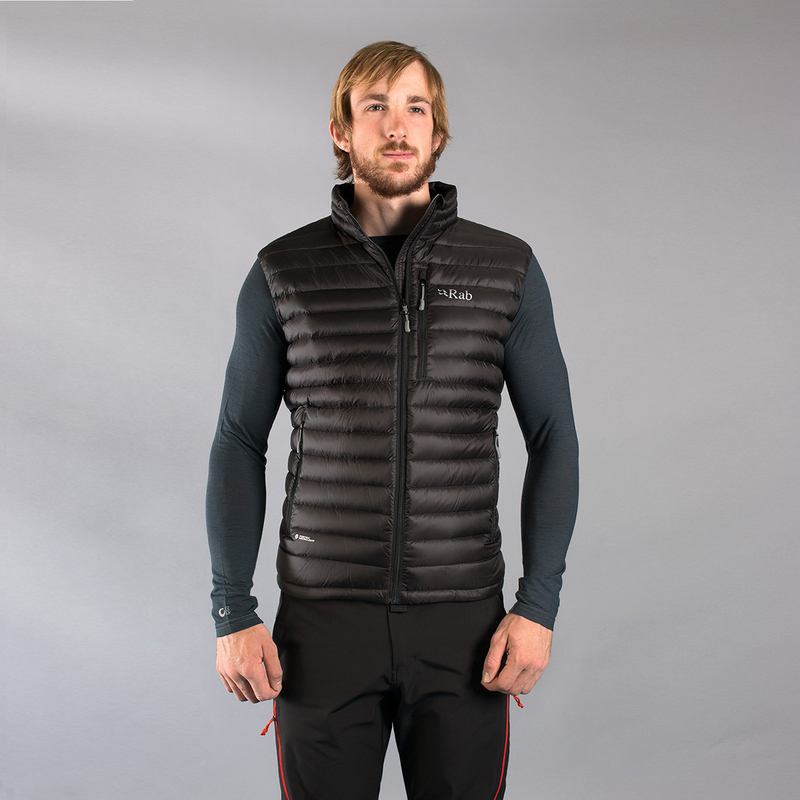 This vest from RAB was designed for those who like to move fast and light, hence the name: Microlight Alpine. Filled with 110g of hydrophobic down developed in conjunction with Nikwax®, this garment provides great thermal insulation levels while being packable and abrasion resistant. The slim fit was designed to provide maximum comfort of use when combined with a bigger outer layer. Hydrophobic down is down which has been coated with any kind of DWR (water repellent substance). This means it doesn’t get as wet and will dry faster, which helps to preserve the loft, as well as your body temperature! Pertex Microlight is a super lightweight nylon fabric that is downproof, windproof and abrasion resistant. It also provides some water resistance and breathability, although its main function is to be lightweight and packable, which is why it is often used to make light, insulating jackets. Ripstop is a fabric weaving technique often used in the shells and linings of technical clothing. The fabric (most commonly Nylon or polyester) is woven in a crosshatch pattern of stronger fibres at intervals to stop the fabric from tearing, and stop further tearing if it does. Ripstop makes fabric is really strong and was first used to make military equipment such as parachutes, but is now commonly used in lightweight shell jackets and made from finer fibres in order to make garments soft and light while remaining super-tough.